Data entry scams are one of the more common work at home scams. Working from home is a dream many people would like to achieve. The thought of no alarm clocks, no commuting in peak hour traffic, more time with the family, working your own hours, and in your pajamas if you want, is very appealing. The ads for this type of work are easy to find on the Internet and in the classifieds. A lot of the ads make the work sound great - work a few hours a day, and make thousands a month. Some people believe that it is as easy as typing in a few words and money will flow into their account. The majority of data entry jobs are scams. 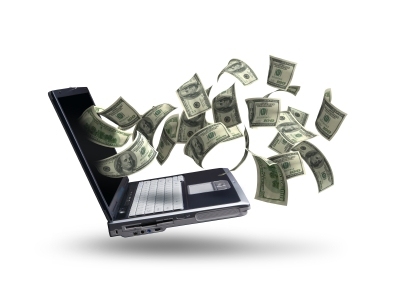 The advertisement may state you can make an unlimited income for only a few hours a week. Your experience level or typing ability is not important. All you have to do is send a non-refundable $19-95 to receive the startup package. The startup information will usually be an eBook sent by email. The instructions will tell you to use the same you applied to, and post it on as many places as you can on the Internet, and then wait for people to send you their $19-95. Some of the ads say 'fill out some Google ads and get paid today'. What they have failed to mention is that it is not data entry, it is affiliate marketing. You are first required to pay a fee for information which usually consists of an eBook explaining how to become an affiliate marketer selling their products for a commission. To make any money, you have to first purchase Google Adsense advertising, and then you don't make any money until someone buys a product as a result of your referral. Any legitimate business will supply any software or training required to carry out their job. Requests for money up front are almost always signs of a scam. Legitimate data entry jobs are mainly medical transcription, medical billing and virtual assistant/clerical positions. Medical transcription and billing requires training, a certificate and significant experience to gain employment. In the case of a virtual assistant, you need knowledge and experience working with office software applications. The common ingredient in both types of data entry jobs is that you must possess a skill set appropriate to the job, as well as some combination of training and experience, so any job offering good pay with no skill, experience or qualifications, should be fully investigated with caution. Any offer of high pay for simple data entry is a scam. Avoid any data entry opportunities that require a fee for more information. Check out the business by going to the Better Business Bureau and also entering their name into Google. Check out forum sites on the Internet that cover data entry scams.